With business booming again, it is time to focus on new ways you can promote your company, school or university. Our brand new Focus USB Flash Drive is the perfect tool to accomplish just this with its sleek and compact design. This lightweight and portable custom USB drive does not have a cap but a unique metallic case instead that fully protects the USB connector. The large carrying ring at the end of the flash drive makes it easily attachable to a key ring or lanyard so that you can take it around when you are on the move. 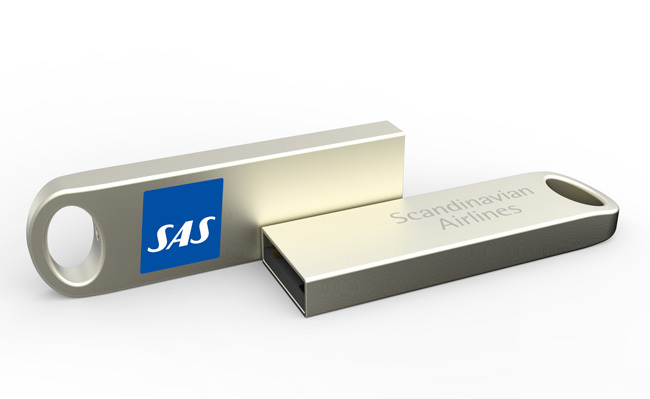 This elegant and refined full metal flash drive can be laser engraved or screen printed with your logo and company message on both sides – making your brand stand out in a stylish way. If you want to stay ahead of the competition this fall then make sure you try to distribute your brand with our Focus USB. Get an instant quote now and you won't regret it!